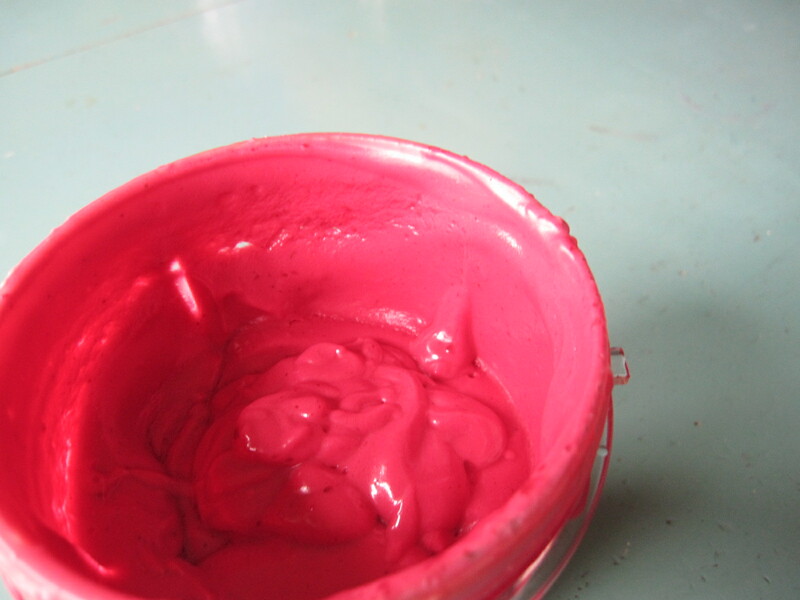 I am getting ready to teach another Kitchen Cosmetics workshop on April 12 and have been experimenting with making tinted creams, trying to perfect the perfect tinted lip balm. This recipe was a mix match of trial and error that ended with a pretty cool result, although, a little lighter than I had in mind….but it works! Try it out and let me know if it worked for you too. 1. Grind up cloves with a mortar and pestle and place in a lidded jar with olive oil. Let sit for one week. 2. 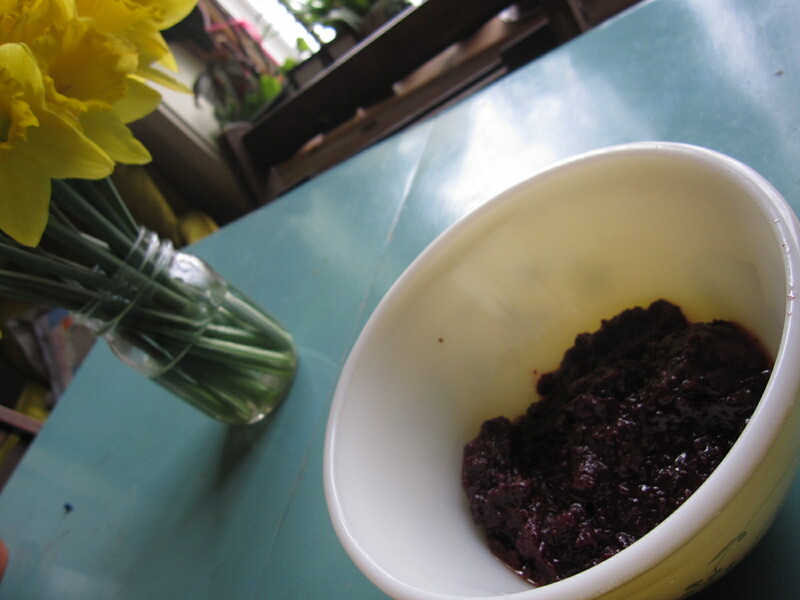 Blend cut up beet and clove and olive oil mixture in a blender. 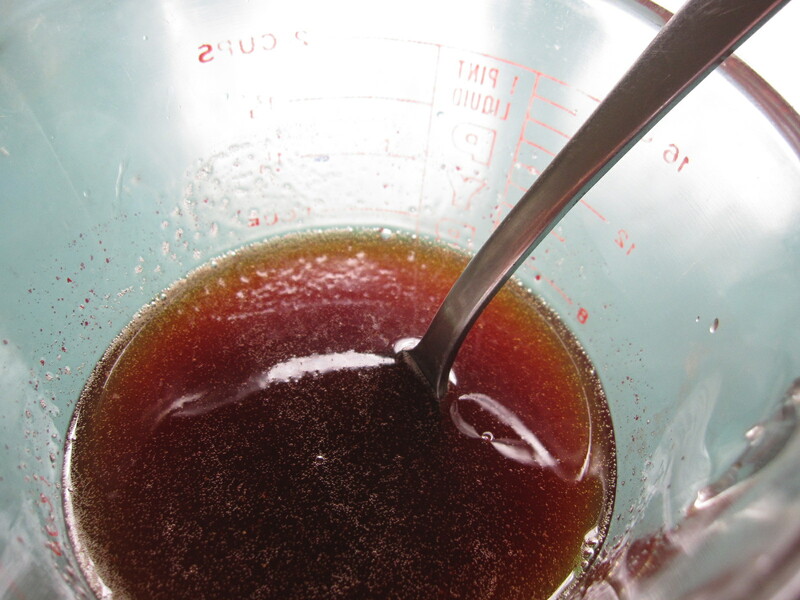 You will end up with a very goopy and dark mixture(See photos above.) Place in lidded jar and keep in refrigerator for one week. 3. 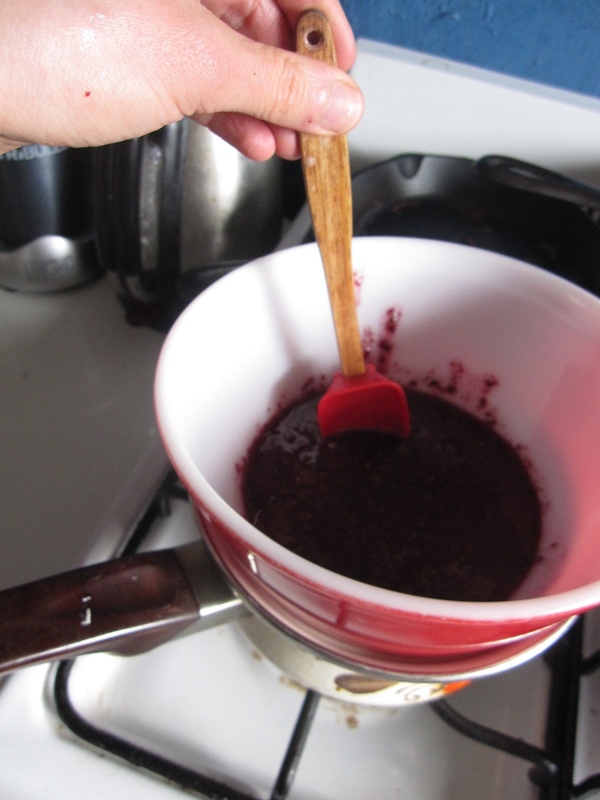 Make a double boiler as shown above, or use one and add the goopy beet, clove and oil mixture. 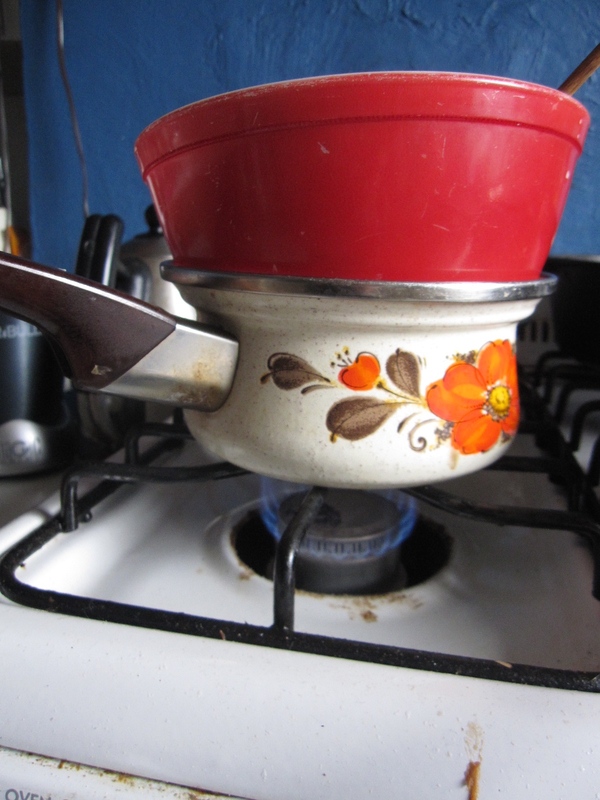 Heat for up to one hour. 4. 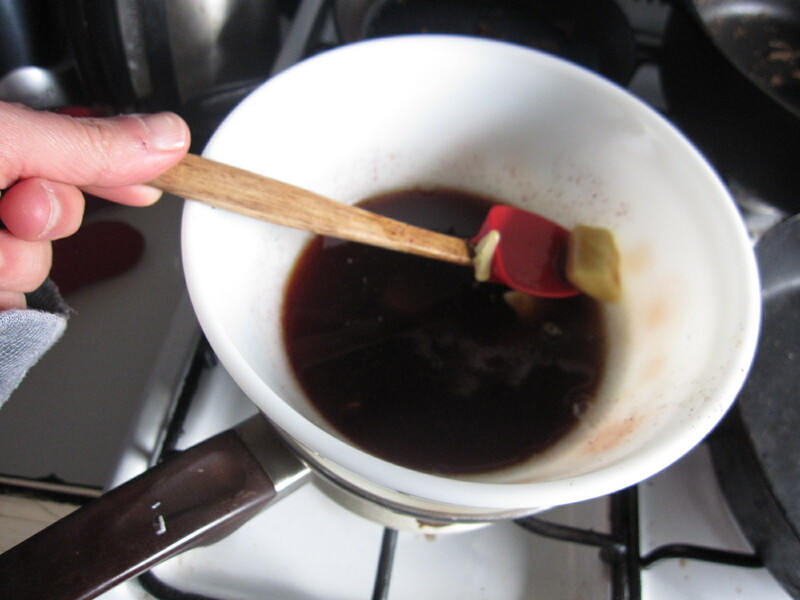 Strain out the oil thoroughly. Melt the cocoa butter into the mixture. Take out and cool for one half hour. 5. 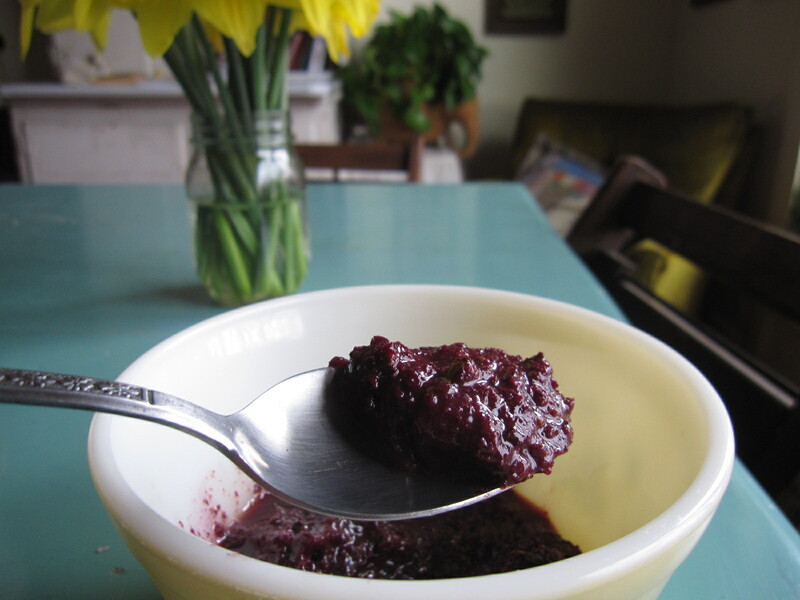 In a blender, pulverize the other beet. 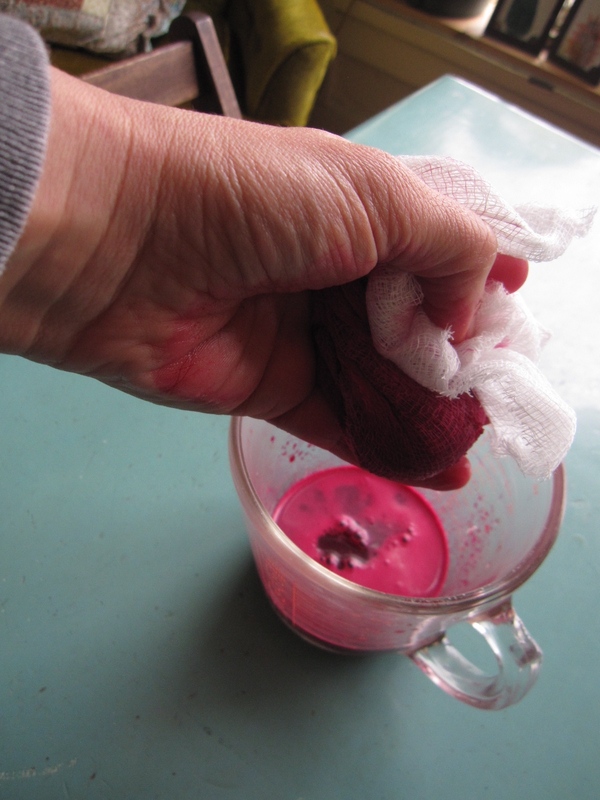 Use a cheese cloth to squeeze all of the beet juice out. 6. Add the beet juice to the cocoa butter, oil, beet and clove mixture. 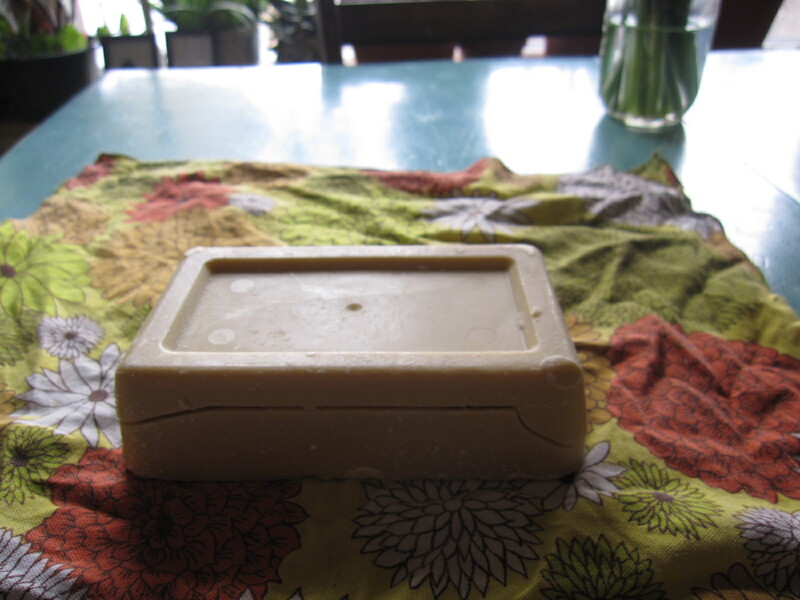 Blend in shea butter and essential oils. 7. Scoop into any containers you feel like using for this. Apply liberally to your lips or into your skin for a little extra glow. Interested in learning about more of this stuff? 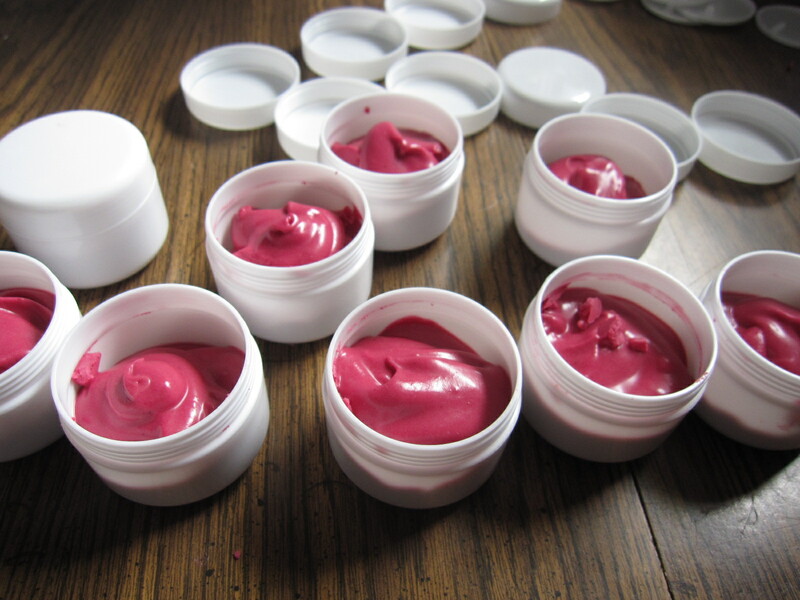 Sign up for my Kitchen Cosmetics workshop on April 12 at Medico Consulting in East Liberty. We will make a facial steam, an exfoliant, a facial massage oil, a body scrub and more! Everyone who signs up will get to take home samples of each thing we make and will get a special gift massage for attending. These workshops are so much fun! I hope to see you there. Space is limited, so sign up today. More information on my website. Anyone have any other tinted cream recipes? I would love to know about them.